When Patients enter our medical center, they find themselves in a clean and bright waiting room complete with children's play area. Our friendly front office staff greets patients in a timely and courteous manner. Vincent Schaller, M.D. is a board certified physician with over 10 years of experience, including in-patient and out-patient medicine, ER, pediatrics, and gynecology. Dr. Schaller's careful, complete examinations, combined with his friendly bedside manner have earned him the respect of doctors and the trust of patients throughout Delaware, NJ, and Pennsylvania. He was recognized by Delaware Today's TOP DOC's 2005. Caring and knowledgeable nurses and radiology technicians aid Dr. Schaller in assessing and treating patients. When a patient is cared for at the Medical Center, a full report of the care received can by request be faxed immediately to the patient's primary physician, ensuring each patient a continuity of care. Patients also have the convenience of on-site X-ray equipment, splinting and casting room, and a wide variety on orthopedic supplies. Hockessin Walk-In Medical Care provides direct referrals to specialists, and if needed, direct transport to the ER or hospital of the patient's choice. WE ARE OPEN EVERYDAY FOR YOUR CONVENIENCE! CONCUSSIONS IN SPORTS: A concussion is an injury to the brain. It's usually caused by a blow to the head. Most of the time it doesn't involve a loss of consciousness. PAPASTAVROS' Associates is now accepting all patients from COVENTRY HEALTH CARE and UNITED HEALTH CARE. Route 7 (Limestone Rd.) & Valley Rd. 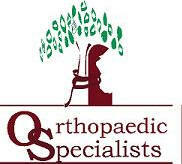 Sports Medicine and Injury Clinic by Orthopaedic Specialists, P.A. Monday and Wednesday Afternoons at Hockessin WALK-IN Medical Care! Dr. Douglas A. Palma, M.D. an Orthopaedic Surgeon and Sports Medicine Specialist. Call 302-655-9494 and ask to schedule an appointment in Hockessin. A complete medical facility in a convenient location for all your patient care needs. All ages from infants to seniors are welcome! Come and experience our professional and caring environment.